Caleb first came into our lives in October of 2012. We received a phone call one night that there was a baby boy (about 18 months old) who had been removed from a mentally ill mother who was living with him on the streets. He was staying in a foster home until another home could be found for him. We said “yes” not knowing what Caleb’s future would look like, but with a determination to love him well and fight hard for his best-to the glory of God. 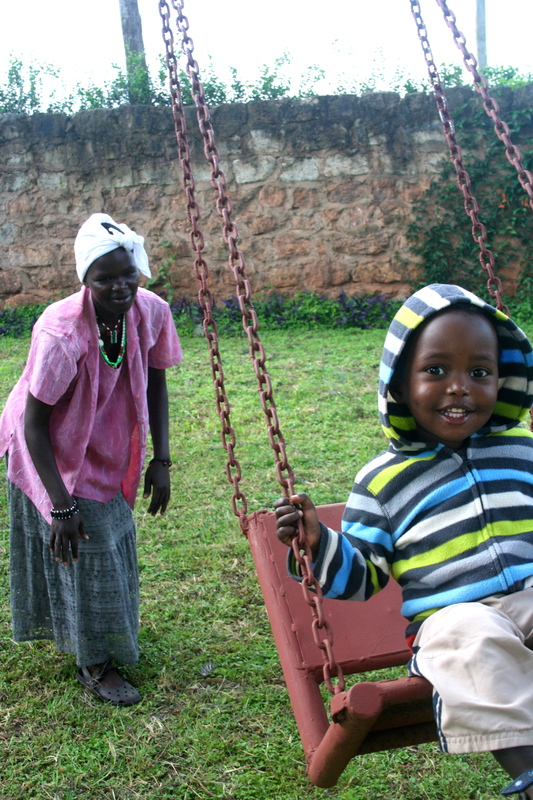 When we brought Caleb to Neema House, we were relieved that he was no longer living on the streets with an unstable caregiver, but at the same time felt strongly that loving Caleb well meant loving his mom also. Giving Caleb the best meant giving him every possible chance to grow up in a family, namely the one that God had knit him into, on purpose. We decided to pray big prayers, trust a powerful and loving God, and do whatever we could to aid in Mama Caleb’s recovery. It took the help of many, hours and hours of searching for her in the streets, numerous doctor appointments, and several admissions to Kenya’s only mental health facility, but we’ve seen an incredible transformation since then. God has honored our humble desire to see Mama Caleb recover and be a part of Caleb’s life, and we praise Him for that. Just over a year ago, she was still living on the streets suffering from untreated mental illness and other sicknesses that were not being controlled. Today we are happy to say she has stabilized both psychologically and medically and is doing well. Though she is mentally stable and is now receiving the medications she needs to treat her other illnesses, she still has some special needs that require assistance. For nine months now, she has been welcomed into a family (with no biological connection) who lovingly cares for her and makes sure her needs are met. With support from P82, this family loves and provides for Mama Caleb as if she is their blood relative. It is truly an incredible sight to see the way they have welcomed her! We love her also and consider ourselves extremely blessed to know her.